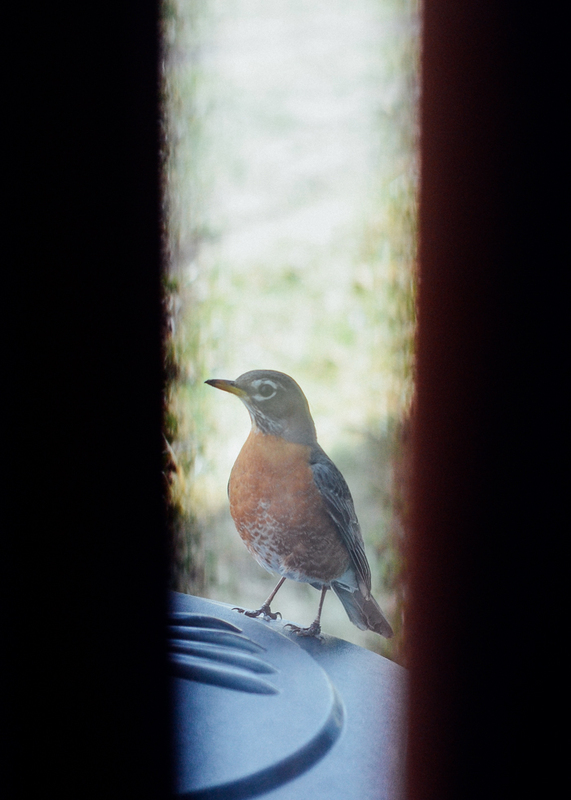 For about a week, a robin has been pestering us. 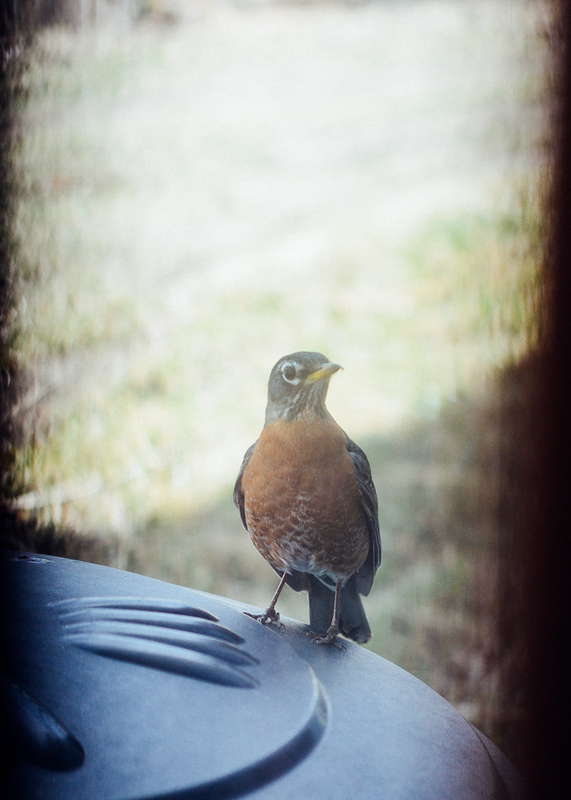 He sits on our trash can and then flies into our picture window. He must see his reflection and thinks it's another bird. I hope he gives up soon because he leaves his "presents" on our trashcan and smears up our window.